Welcome to the YogaClub.com Giveaway. 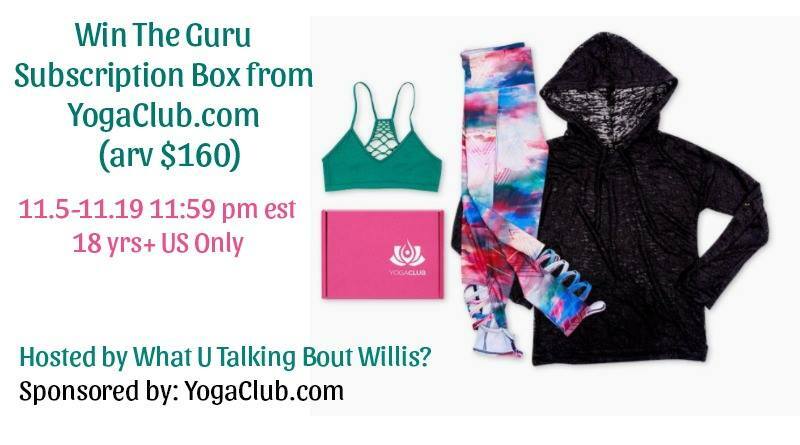 We are excited to be able to offer 1 winner The Guru Subscription Box (arv $160). You can read all about YogaClub.com here. The winner must be 18 years of age or older and a resident of the US to enter. This giveaway will run from 11.5-11.19 11:59 pm EST. Each winner will receive this set below. You can read about this adorable couple here.